Hello. My name is Monica and I like to eat peanut butter straight from the jar. Sometimes with a spoon, sometimes straight up with my finger. It’s messy. It’s also means I go through PB faster than I can keep it stocked (even if I buy the HUGE tub from Costco). Well, apparently a serving of PB is supposed to be 2 tablespoons. Hmmm. I’m not sure why the President of Peanutville decided that seemed like a good idea but in an effort to not consume 6802 calories mindlessly while standing in the kitchen contemplating life I created this Crunchy PB Dip Recipe. 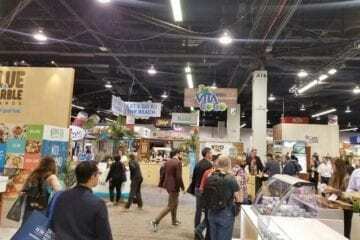 The company prides itself on providing a simple, quality yogurt for a great price. 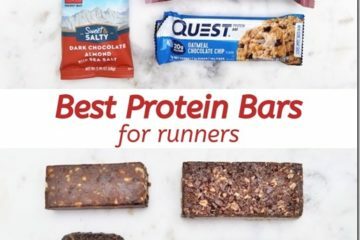 I dig that because it’s easy to keep a quart on hand for snacks and recipes without breaking the bank. 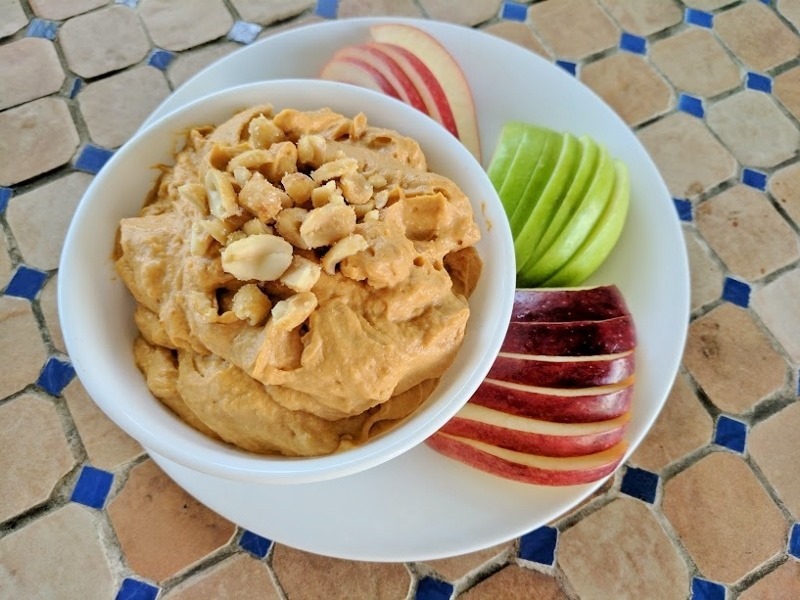 I used to think of yogurt as a good breakfast base for cereal or granola but now use it for everything from a butter substitute in baked goods to the main attraction in sweet treats like this dip. I made this for my family’s Easter celebration this weekend and everyone loved it. I served it with apples and small vanilla wafers (unpictured) and it was gone fast. Directions: Place PB in a microwave safe bowl and warm for 10-30 seconds or until soft and easy to mix. Mix yogurt and butterscotch pudding mix thoroughly. Add PB and mix through. Mix in peanuts, leaving a little for topping. Enjoy! More Mountain High Yoghurt Recipes here. Question: Crunchy or Smooth PB? Disclaimer: This post is in partnership with Mountain High Yoghurt. All opinions are my own. 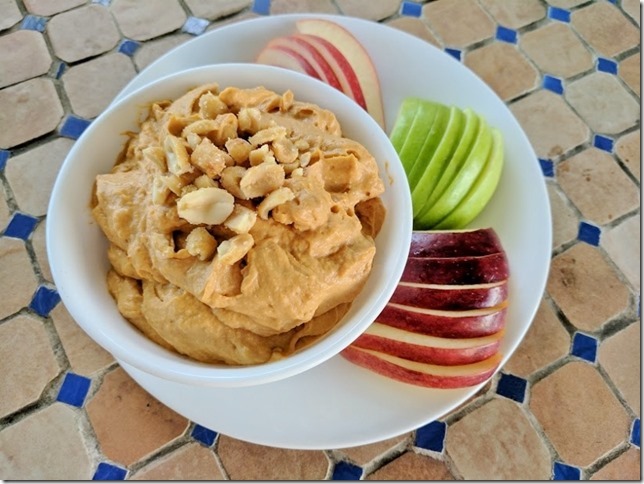 Peanut Butter is everything and your recipe looks amazing! Do not make me choose! haha Ill take it creamy, chunky, off the floor, I don’t care Ill eat all the peanut butter! 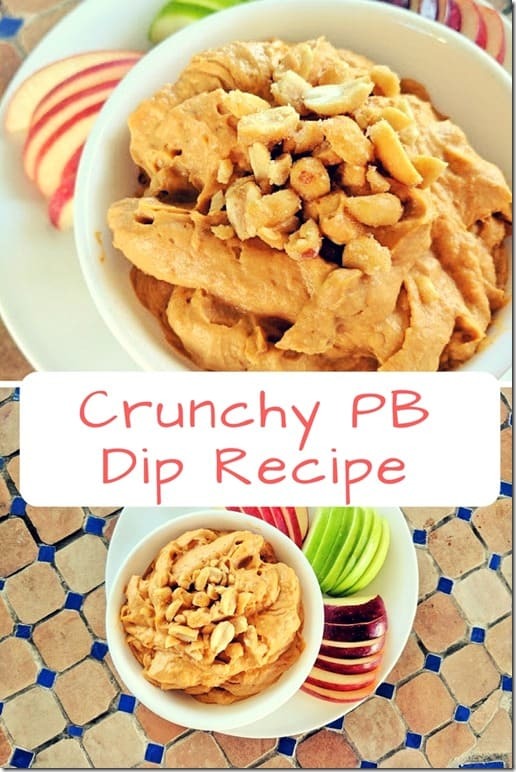 This dip sounds great and may help me conserve my peanut butter by diluting it a bit! Always smooth for me! I have texture issues and can’t handle crunchy peanut butter, overripe bananas, and tapioca pudding. Vom. 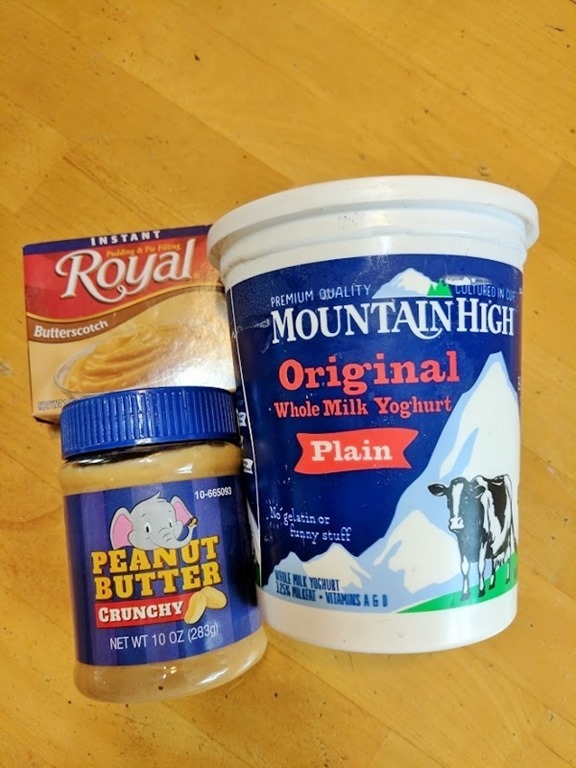 I love the combination of PB with Yogurt. 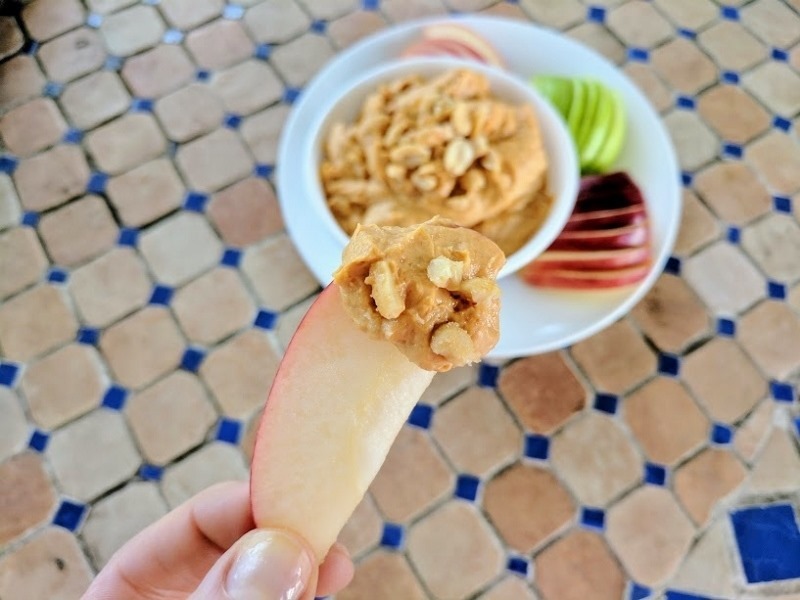 Vanilla Greek yogurt mixed with PB is heavenly good. I am the same way with PB … right out of the jar. I even keep a jar at work. I go smooth…. WOAH the butterscotch pudding mix totally threw me for a loop. THAT IS GENIUS!! !